I generally prefer to bake from scratch. When I make pancakes or cookies, my recipes are from scratch. I have two exceptions, and one of them only quite recently discovered. 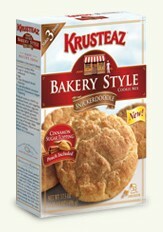 I like to use the Krusteaz brand baking mixes for coffee cake and snickerdoodles. I remember growing up my dad had a good coffee cake recipe. He would recruit me to make the coffee cake while he made fried potatoes and scrambled eggs. Besides his homemade cinnamon rolls (dough from a bread machine), it was one of those heavenly morning baked goods. Some time down the road, my dad started substituting Krusteaz boxed mixes for some of his from scratch recipes. I remember at first being somewhat disappointed that he was no longer making from scratch pancakes, but when I tried the Krusteaz crumb cake, I was very much in love. 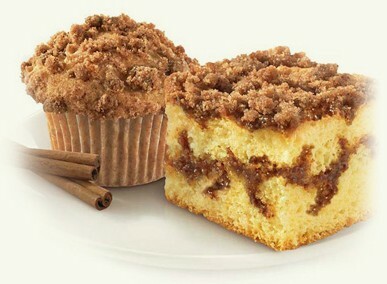 When people eat this coffee cake, they think it's from scratch. It is so good and yummy! I think what makes Krusteaz stand out from other boxed baking is that these recipes still require fresh ingredients. To make this boxed coffee cake, you mix 2/3 cup of water, 1 egg and the packaged cake mix. A second package has the cinnamon/brown sugar mix that is halved inside the cake and half on top. This recipe makes cake in an 8 by 8 dish. I sometimes like to double this recipe in a 9 by 13 dish. When I do this, I make the first boxed cake and put it in the greased dish. I put one of the packages of the cinnamon toppings on top of the first cake batter. I then make the second boxed cake, then add it to the dish. Then I spread the last topping package on top. I cook it at normal temperature and time, but test it with a toothpick to ensure it is done. Visit the Krusteaz official website for variations and additional recipes you can make with this box. Variations include adding fruit, like blueberries or apples, adding walnuts, making bread, or adding pumpkin spice. I have been making the cinnamon coffee cake recipe for maybe 10-15 years now. I was picking up a box of it when I saw this boxed snickerdoodle recipe. On a whim, I decided to grab it also. The package says "Bakery Style" and OMG, yes! These do taste like they came from a bakery. They are soft and oh, so yummy! I have been searching for a good snickerdoodle recipe for years. I have tried several scratch recipes, but was so happy to find this boxed recipe. It is hands down the best snickerdoodles I have ever had. My search for the perfect snickerdoodle has come to an end. In addition to the boxed mix, you will need 1/2 cup of softened butter an 1 egg. I think this is what impresses me with these mixes. Even though you are using a mix, you still use fresh ingredients like eggs and butter. When I was making this for the first time, I questioned why I was using a mix when I was still using fresh ingredients. I'm still going through the work of creaming butter and beating eggs. The only step I'm skipping is mixing the dry ingredients. This recipe turns out very light and fluffy, where as my typical cookie recipes are much denser. After mixing the ingredients, you roll the dough into balls and then roll the ball in the cinnamon/sugar packaged topping. The result is a very light cookie that really does taste like it came from a professional bakery! The Krusteaz official website gives a multitude of variations, including raspberry thumbprints, chocolate snickerdoodles, cinnamon roll cookies, orange snickerdoodles and much more! I am a huge proponent of making recipes from scratch, but these are my two guilty pleasures. I have not found a from-scratch recipe that can compete with these two boxed mixes. 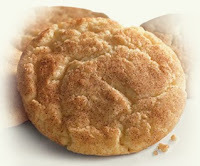 After the success of trying their snickerdoodle recipe, I will probably try some of their other recipes. 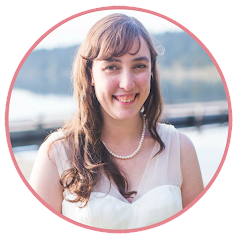 I don't want to replace my current successful from-scratch recipes, just add some new yummy recipes. I didn't take any pictures the last time I made these recipes, however the pictures from the Krusteaz website is a great representation of how they turn out. They really do look like these awesome pictures with very little effort. Is there a boxed recipe that you just love more than anything you could make from scratch? Let us know in the comments!